The award postulates a transmission of shares to the claimant. The directions contained in the award can be enforced only by moving the tribunal for rectification in the manner contemplated by law, the bench observed. 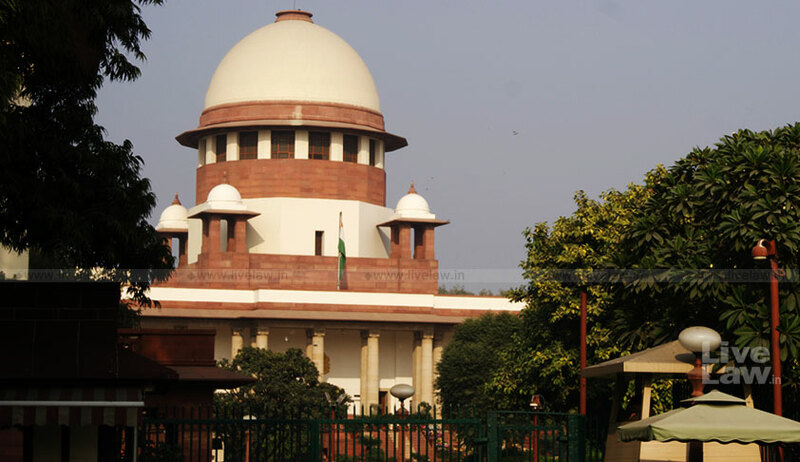 A three-judge bench of the Supreme Court headed by Chief Justice of India Dipak Misra, in Cheran Properties Limited Vs. Kasturi And Sons Limited, has upheld proceedings for rectification of records before the National Company Law Tribunal (NCLT) by a claimant company whose claim was upheld by the arbitral tribunal directing transmission of shares. The court dismissed an appeal wherein the main contention was that an arbitral award has to be enforced as a decree of a civil court in view of the provisions of Section 36 of the Arbitration and Conciliation Act and it could not have been enforced by pursuing proceedings before the NCLT. In this case, the arbitral tribunal had passed the final award in the arbitration matter between KSL, HRPL as the claimants and SPIL and KCP as the respondents. The award contained a direction to SPIL and KCP to return to the claimants the documents of title and share certificates relating to 2, 43, 00,000 shares of SPIL. Following the award, an application preferred by KSL, a company, before NCLT seeking rectification of the register of SPIL, under Section 111 of the Companies Act, 1956, was allowed and later upheld by NCLAT. The application was preferred against CPL, which had purchased the shares of SPIL as a nominee of KCP. The NCLAT held that the CPL is a nominee of KCP and holds the shares in question and hence NCLT was justified in entertaining the proceedings for rectification under Section 111. An arbitral award has to be enforced as a decree of a civil court in view of the provisions of Section 36 of the Arbitration and Conciliation Act and it could not have been enforced by pursuing proceedings before the NCLT. According to them, application before NCLT seeking rectification of the register is a ‘camouflaged petition’ would be barred by Section 42 of the Arbitration and Conciliation Act, 1996. Even though CPL purchased the shares of SPIL as a nominee of KCP, the arbitral award which has been rendered in proceedings between the parties to the agreement does not bind it as it was not a party to the arbitration agreement. Answering the first issue against the appellants, the bench said since the arbitral award, in essence, postulates the transmission of shares from the CPL to the claimant, the only remedy available for effectuating the transmission is that which was provided in Section 111 for seeking a rectification of the register. The court also referred to its recent decision that held that the enforcement of an award through its execution can be initiated anywhere in the country where the decree can be executed and there is no requirement of obtaining a transfer of the decree from the court which would have jurisdiction over the arbitral proceedings. “The transfer of the share certificates by the appellant will be effectual only by the rectification of the register of the company. The mere handing over of share certificates will not constitute due implementation of the award. The award contemplates the transmission of the shares which stood in the name of the appellant in pursuance of the agreement dated 19 July 2004, to the claimant in the arbitral proceedings. This necessitated an application under Section 111 for the purpose of securing a rectification of the register,” the bench said. The court observed that the fact that the CPL was not a party to the arbitral proceedings will not conclude the question as to whether the award can be enforced against it on the ground that it claims under a party. The court also observed that the principle enunciated in Chloro Controls is that an arbitration agreement which is entered into by a company within a group of companies and may bind nonsignatory affiliates, if the circumstances are such as to demonstrate the mutual intention of the parties to bind both signatories and non-signatories. In applying the doctrine, the law seeks to enforce the common intention of the parties, where circumstances indicate that both signatories and non-signatories were intended to be bound, the bench said.